We should all attempt to hire exceptional people, shouldn't we? The question might seem at the outset to be nonsensical, you might think that it is obvious that we should hire exceptional people. But hang on a moment is your organisation really ready for a truly exceptional person, one who is able, given the right support, to transform an organisation in a very short time. By exceptional I do not mean someone at the 'top end of the upper quartile', someone you would score at the top of their peer group. I mean someone who is in the top 0.2% of the population, someone who is well above their peer group, someone who does not need 10 years of experience to understand and improve a complex business, someone who will deliver in spite of organisational boundaries. A year ago I wrote a blog 'making best use of our talent' where I listed the traits of people who can really make a difference in an organisation, in summary: Fast Thinking, Independent, Conscientious, Driven, Self-starting, Visionary, Honest and Straightforward. These traits were taken from a paper co-written with Tanya Goldhaber in 2011/2012, "Changing the Game: Using game-changers to stimulate organisational growth". In the paper we described people who really want to have impact and are passionate about this; 'Game-Changers'. In 2011 the global economy was still teetering on the brink and recovery was still some way off but just recently interest in the subject [hiring game-changers] has increased exponentially, hence this new blog. Organisations now do want to understand how they can utilise exceptionally talented people to help them transform and grow, however the world has changed in the last couple of years and it is worth taking a look at what Gary Hamel has to say about this. 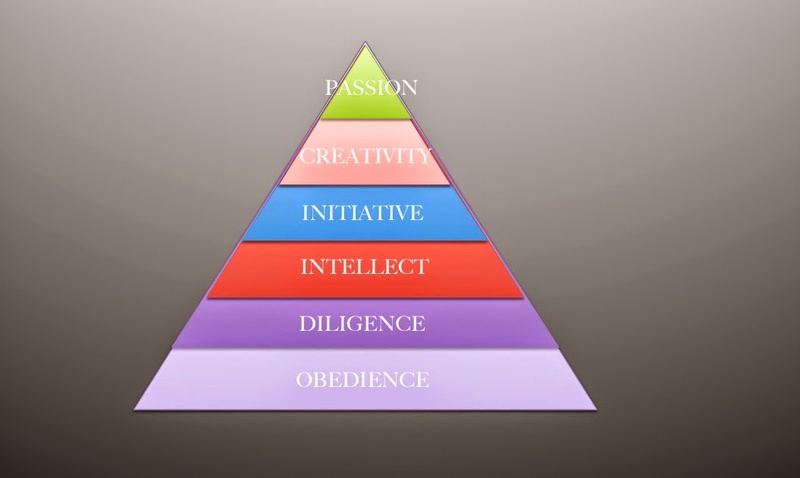 In his video (below), he says that obedience, diligence and intellect have become global commodities and that the key attributes needed today are Initiative, creativity and passion, I agree wholeheartedly with Gary. Gary goes on to say, "These people do not wait to be asked, they don't feel bound by their job description, they see a problem / opportunity and they start to move before anybody says its okay. They challenge the status quo". Can you honestly say that your organisation can successfully utilise someone like this? Often if the person holds a senior position and has a long and successful track record then the organisation will welcome this type of behavior, in fact more than this the organisation will expect this type of approach. But what if the person is a ridiculously bright young person that the organisation has recently hired? So back to my initial question: Should you hire an exceptional person? Does your organisation have a culture which supports learning and change? If someone points out something which is is clearly suboptimal and also suggests a well thought through alternative, would your organisation give the idea a full and transparent assessment, implementing it if sensible? I think we would all like to answer yes to this, but if we are honest is this true? Culture change is hard and if the culture of an organisation has been around for a long time, then changing it is even harder. In his 1990 paper, 'Organizational Culture', Edgar H. Schein says, "Culture can now be defined as a pattern of basic assumptions, invented, discovered, or developed by a given group, as it learns to cope with its problems of external adaptation and internal integration, that has worked well enough to be considered valid and, therefore is to be taught to new members as the correct way to perceive, think, and feel in relation to those problems". He goes on to say that, "Leaders of organizations sometimes are able to overcome their own cultural biases and to perceive that elements of an organization's culture are dysfunctional for survival and growth in a changing environment". For leaders to want to change the culture of an organisation they must have both the imperative and the vision. A key change that needs to take place in many organisations is to alter how people are viewed. People in an organisation are assets and they should be treated as such, no matter what their age or experience. However generally today, people are seen as both a 'cost' and a 'liability' on the balance sheet. If we need to cut costs we cut people, if we need to reduce overheads we cut training and development [people budgets]. Over the last 5 years there has been a downward spiral, what Gary Hamel calls, "a race to the bottom". Cut costs, cut people, cut costs, cut people, etc. etc. Now organisations see that they need to hire people, because often they cut too far and now cannot function, let alone grow. And sensibly they are asking, who should we hire? Can we be better at the whole process? Can we make good use of exceptional people? Organisations with real vision, and there are some, are not only looking to hire exceptional people they are ensuring that the organisation itself is 'fit for people', even if that means complete reorganisation and restructuring. Gary starts by saying, "How do we build organizations that are fit for the future, but also how do we build organizations that are fit for human beings". Gary goes on to explain that how we manage needs to change, "the way we lead, we plan, we organise, we hire, we motivate, all of those things we are going to have to re-invent!" And of course he is right. NB: All of this is very nicely summerised in an HBR blog: "Is Your Company Fit for the Future (and for Human Beings)?" In 2007 I wrote an article for the BT Innovation web-site, "Living in a world of exponential change", I can assure you that that world continues at a pace which continues to accelerate. To be successful in this world of relentless change we need to embrace flexibility and we need to aim high, setting objectives which challenge both the organisation and its people. Perhaps not surprisingly the people who will help you achieve these difficult objectives are exceptional people - Game-Changers! So hiring a Game-Changer probably means some changes to 'management' and some changes in culture, at least around the person. It also means treating exceptional people differently, not imposing the same development and people management on them as you would use with others! So the question becomes more complex, "If you hire an exceptional person are you willing to put in the time and effort, over a considerable period of time, to develop them and utilise their skills and ideas - from day one?" From our paper on Game-Changers, "Considering that the investment is often just a salary and expenses, a game-changer can easily make a thousand or ten-thousand-fold return on investment. If they are not appreciated or accommodated, however, the opposite is true, and they will often leave an organisation in which they do not feel they can make a difference". Is there risk? Of course there is risk. Can it be a 'managed risk? - Of course it can be, and these exceptional people will help you manage that as well! Finally, why the image of Ernest Henry Shackleton? - Well he lived in the same area of London where I grew up and my 'House' at School was named for him, so we learnt about him. 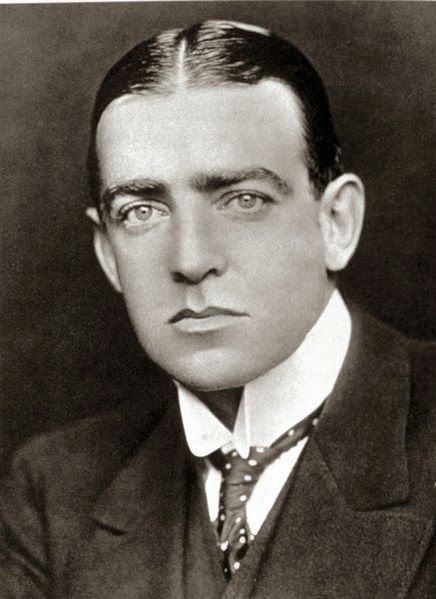 Shackleton was someone who challenged the status quo and made a mark on history - a Game-Changer.